Love, murder, abduction, revenge, was the plot. But it all came while the fountain splashed to the satyrs in the morning sun. "So I saw. Were you indeed? Andate via! Sono occupato!" The last remark was made to a vender of panoramic photographs who was approaching with a courteous smile. "I am about to venture a suggestion. Would you and Miss Honeychurch be disposed to join me in a drive some day this week--a drive in the hills? We might go up by Fiesole and back by Settignano. There is a point on that road where we could get down and have an hour's ramble on the hillside. 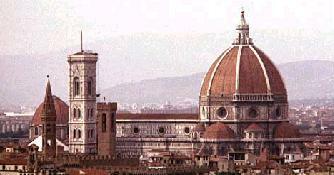 The view thence of Florence is most beautiful--far better than the hackneyed view of Fiesole. It is the view that Alessio Baldovinetti is fond of introducing into his pictures. That man had a decided feeling for landscape. Decidedly. But who looks at it today? Ah, the world is too much for us." "Is he a journalist now?" Miss Bartlett asked. "He is not; he made an advantageous marriage." He uttered this remark with a voice full of meaning, and ended with a sigh. "To speak plainly," said Mr. Eager, "it is. I will say no more." For the first time Lucy's rebellious thoughts swept out in words--for the first time in her life. "You have said very little." "Oh, dear, Lucy! I do hope Florence isn't boring you. Speak the word, and, as you know, I would take you to the ends of the earth tomorrow." "Charlotte!" cried the girl suddenly. "Here's an idea. What if we popped off to Rome tomorrow--straight to the Vyses' hotel? For I do know what I want. I'm sick of Florence. No, you said you'd go to the ends of the earth! Do! Do!"